1. Bring water, cardamom pods, cinnamon powder, star anise, fennel seed, nutmeg, ginger, cloves, and peppercorns to a boil over medium high heat. 2. Add milk and return to a boil. 3. Add tea and simmer for 2 minutes. 4. Strain, sweeten with sugar (to taste). Serve with cinnamon stick and star anise. To achieve a froth chai, pour the strained tea repeatedly — and from a height — from vessel to vessel before serving. Additionally the simmer (steeping) time can be adjusted. Longer times will yield stronger tea. However, one should be wary of the bitter taste of over-steeped tea. in the archived edition of our Jan 2014 email. 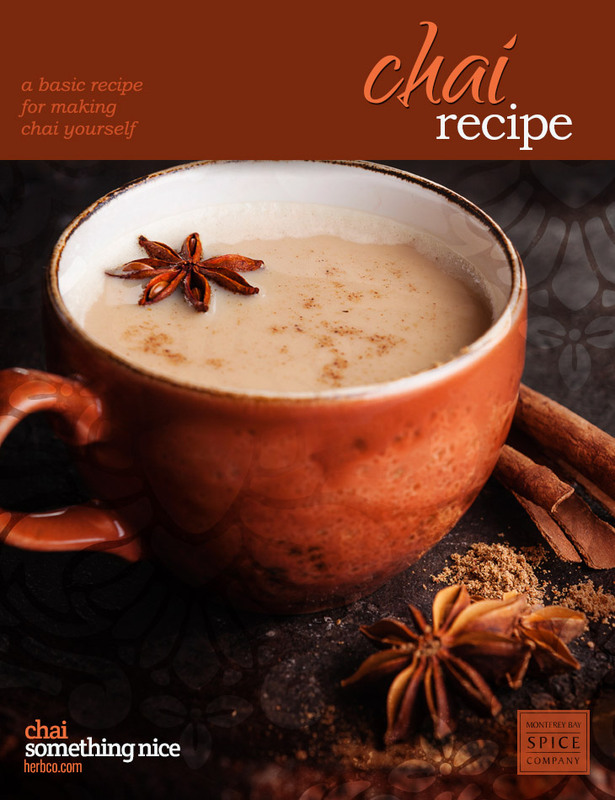 If you want a more convenient cup please browse our Chai Tea Blends.